Chordify is a website that automatically transforms music from Youtube or Soundcloud into chords. Relying on deep neural networks to output chords for your song, they are geared to help pianists, guitarists, and ukulelists. So, if you rely on chords or play by ear, then save some time with Chordify. Paying members can transpose and even play around with the tempo. If you don't wish to create an account, you can use their search tool for free to check whether chords already exist for your favourite song. For example, here are chords to Broken Vow, a lovely piece from Lara Fabian. This sounds interesting. How accurate is this? Have you tried extensively? Thanks! I've read the link you sent. On a technical note, I reckon the software analysed the frequencies? I mean, there's nothing in the mp3 file, except frequencies, right? You can read about how Chordify works by looking at this answer in Quora. And unless you know about Artificial Neural Networks and terms like neural weights, back propagation, and recurrent/recursive neural networks, it's going to be tough understanding what happens under it's hood. Guess the Score #3 - This parchment of music looks like a work of art. It is part of a set, so do you know which number it is, the title, and composer? I won't be able to guess from the bunch of messy notes! 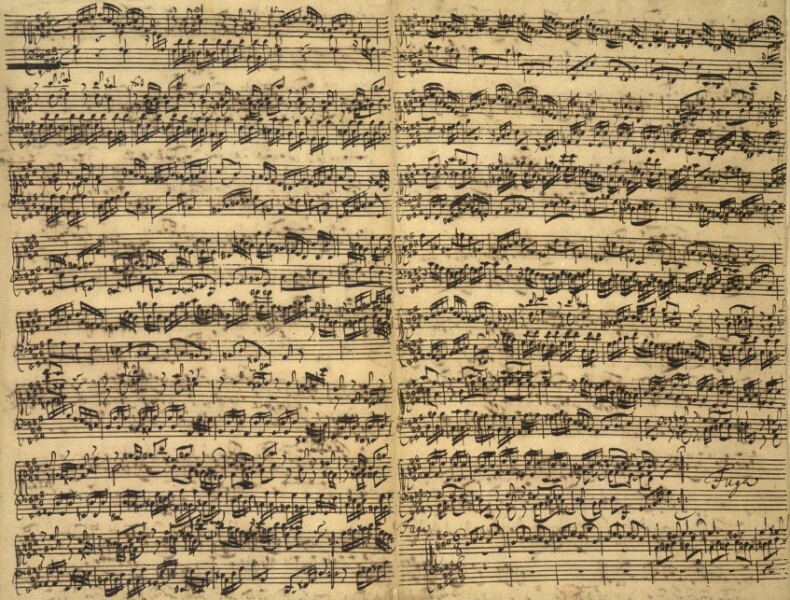 Is Bach that untidy? If you compare Bach's score with the rest of the composers here, I should think that Beethoven's work was probably most untidy of the lot. You can also see the untidiness in his Appassionata. This is considered very tidy already. Try reading Handel’s manuscripts. 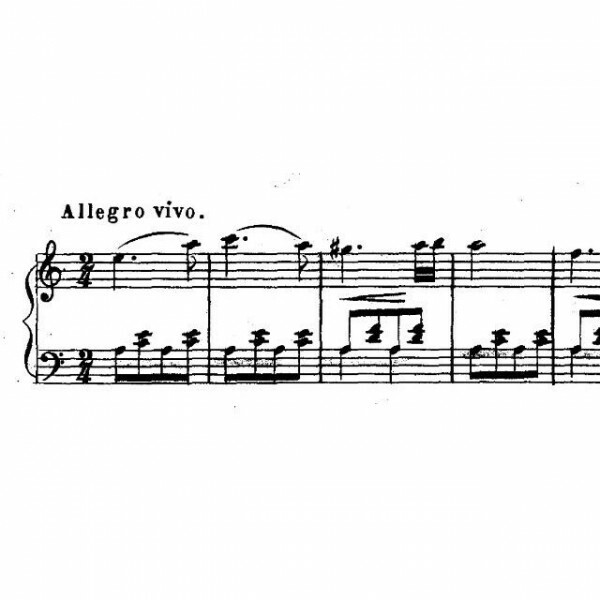 Guess the Score #2 - What is this piece? Hint - It's a piano sonata. This is quite confirmed to be Beethoven's Appassionata. I'm a fan of Beethoven's sonatas. Simply brilliant. Guess the Score #1 - Who is the composer of this piece? If you check out the Hungarian Dance No. 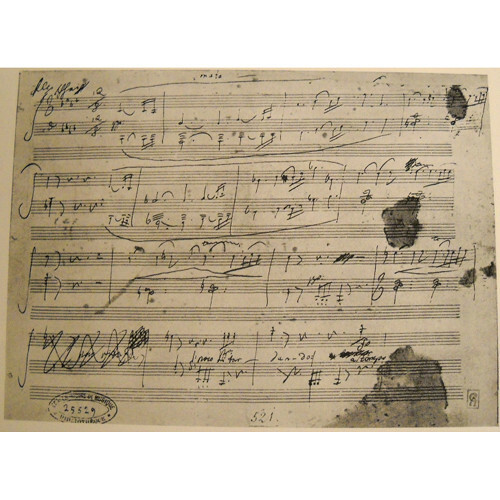 5 (see link below), you will know that the piece above is not composed by him. Did Brahms copy somebody else? Try again! This is "Bártfai Emlék" (Memories of Bártfa) by Hungarian composer Béla Kéler. It is a csárdás - a Hungarian dance with a slow introduction and a fast, wild finish. The story goes that Brahms had mistakenly thought this was a traditional folksong and therefore used it in his Hungarian Dance #5. Unintentional plagiarism or not? You decide. Nice sharing! I think the weekly meetup already helps with point 5 and 8!